After a relaxing Thanksgiving, a crazy Thanksgiving weekend, and a very slow start to what I like to call Recovery Monday, I decided that the least I can do is keep reading. It really is one of the only things that relaxes me. Not the only thing, but one of the top 3. So I dusted off the book pile and am planning on getting at least three books completed and reviewed by the end of the year. I also have a couple of children’s books that have stood the test in our family from our oldest now 21, to our youngest, who is 7. Orthodoxy, by G. K. Chesterton. I am reading this in bits because it’s one of those books you don’t want to rush through. It gets better with age and I like to savor it, let the thoughts kind of roll around in my head for a couple days after I’ve read a chapter or two. It deserves no less. Yes, much like Lewis and Booker T. Washington, I am an intellectual groupie of Chesterton. I should make that a category. Things Fall Apart, by Chinua Achebe. I’m pretty engrossed in this one right now and hope to be done by week’s end. Life Together, by Dietrich Bonhoeffer. It’s been a few years since I read it, but it’s time to read it again. Vanity Fair, by William Makepeace Thackeray. I’m expecting this to be a fun one. Who Made God? And Answers to Over 100 Tough Questions of Faith, by Ravi Zacharias. I was with a fellow bibliophile, lamenting the dearth of Christian writers the caliber of Lewis, Chesterton, and Bonhoeffer, and she suggested I check out Ravi Zacharias. “A Lewis for our generation”, she said and loaned me this book as an introduction. 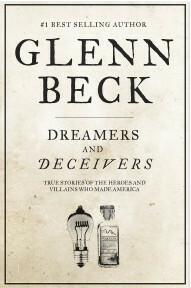 Looking forward to reading this and more from him in the coming year. Ready to Run, By Dr. Kelly Starrett. I am training for my first ever race, a 5K in early 2016, and I need to shore up some things. I know 5K is almost nothing to a few of you who read here, but to me it’s an accomplishment. The book comes highly reviewed and I need to finish it and implement some of the recommended changes. 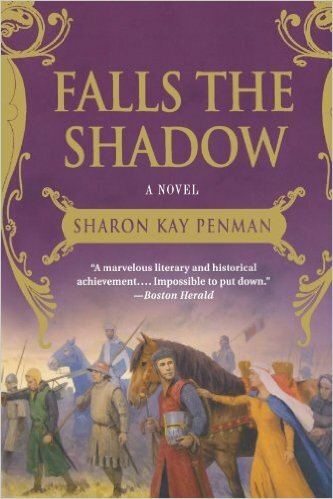 The Sunne in Splendour, by Sharon Kay Penman, comes heavily recommended by Maeve. The Hunger Games, which fellow bibliophile sold me on. Since our girls already own them I can read them whenever the mood strikes. Till We Have Faces, By C. S. Lewis. Nope, I have never read it. Yes, I blush slightly at the confession. This is where you tell me what you’re reading, or planning to read as we move from 2015 to 2016. My 2016 list is still a work in progress and I’m open to suggestions. I still love this music, so soulful. Something for everyone! Happy Thanksgiving, and don’t eat too much. We don’t get a gluttony pass on Thanksgiving. You remember, the ones largely targeted towards women which are mostly just common sense wrapped in psychobabble and dragged out over 200 pages? And those are the the “good” ones. 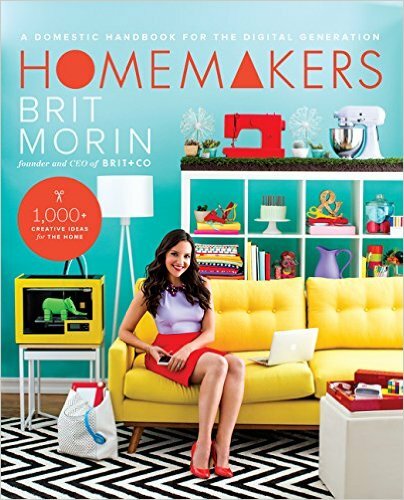 Homemakers, A Domestic Handbook for the Digital Generation, by Brit Morin, published in 2015. This book is written for the express purpose of helping millennial women who enter adulthood without the skill set of their mothers, according to Mrs. Morin, herself a millennial. I think it would be more accurate to say that this generation of young women are growing up without the skill set of their grandmothers. If my life is any indication (and I think it is), most of the women of my generation entered adulthood with few domestic skills. Alas, rather than simply enjoy the pretty pictures and note the very creative way Mrs. Morin made a scarf rack out of shower hooks (I’m totally going to do that! ), I did what my daughter did not, flipped to the beginning of the book, and read the background and introduction which outlines the author’s thoughts on the limited lives of yesterday’s homemakers. In fact, the point of the book is that the traditional idea of a homemaker is obsolete, but that creativity and resourcefulness in the home can walk hand in hand along side a burgeoning career life. Personal grooming for health as well as good looks concerns the modern housewife as a practical matter. She must budget her time for it, shop wisely for cosmetics and beauty aids, and learn to use them for best results. She may find herself in the role of counselor to a growing daughter. Above all, a sensible regard for her everyday appearance contributes to a happy home. A lovely wife pleases husband and children, favorably impresses guests, and faces the outside world with confidence. No matter how many experts you consult, you will still have to brush your hair, cream your skin, coddle your hands. You have to exercise and diet, stand and move like a beauty. No one else can do these things for you. In daily housekeeping, care of the figure is perhaps the beautifying measure most overlooked. Now, while even I may take exceptions with some of the specifics from the excerpt, it isn’t particularly offensive and even a cursory glance at the author’s cover photo strongly suggests that she spends a fair amount of time and expense to look good. In fact, there are a fair amount of beauty and fashion tips in the book as well as practical and creative homemaking tips. Yet somehow the idea that this should be a priority or duty to a homemaker was met with derision. Perhaps because it is sexist for a woman to be “just a homemaker”. In any event, I have once again been reinforced in my conclusion that self-improvement books targeted at women, even when full of very useful and valuable information, almost always descend into ideological foolishness. It’s too bad because she has some great ideas in her book, with the exception of her alternative to ironing which looks like it takes longer than just learning to properly iron. Not everything was useful to me, but with the exception the first 30 pages or so, I’d have hard time discounting it, especially for young women starting from zero. So I won’t discount it completely. Grade: B- ( Combining the A for creative content with a D for that drivel at the beginning). ‘Tis the season for cooking, sewing, cleaning and decorating. This means less time to read at leisure and less time to review. Y’all have a wonderful Thanksgiving and enjoy the time with your families. I have no idea when or why education people decided that unless the student is in 9th grade or higher, they’ll call biology by the name “life science”. My younger kids can say the word biology without any trouble. However, since this course is a relatively good one, and it’s free, I’m going to forgive that little nit I picked and recommend the curriculum for anyone who might be interested in science that they can try without spending a boatload of money on curriculum that they later find utterly useless. Alternatively titled: Making 4-digit subtraction fun. When I read books to our two younger girls, we always start by reading the year and city of publishing as well as the title and author. Several months ago, our 7-year-old decided that books fall into two categories: BGG and AGG. Those stand for ” Before Great Grandma” and “After Great Grandma”. If the book was published before 1924, then that gives her some context in which to put its age. If BGG, then the response is “Wow! That’s old.” If Great Grandma was a little girl, then still old but not quite as much. And so on. It didn’t take long to figure out that asking how fast they could figure out the age of a book helped kill a second bird with the same stone.